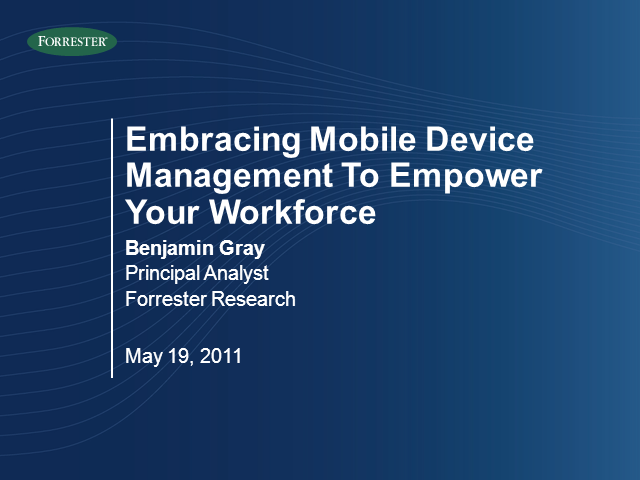 IT managers worldwide are significantly altering their mobile computing strategies. This shift is driving a profound impact on smartphone and tablet adoption in addition to management and security requirements. Necessitating this change is a significant generational shift of information workers — who are an increasingly empowered group — dictating the technology used to solve business issues. IT managers must respond to overwhelming requests to support smartphones and tablets because of the productivity improvements and cost efficiencies they can introduce and they’re shifting away from a one-size-fits-all, corporate-liable model to one that: 1) includes support for a diversity of platforms, and 2) is much more open to individually-liable devices connecting to corporate resources.